I would love to see this nursery photographed with a hubbarb of children in it. 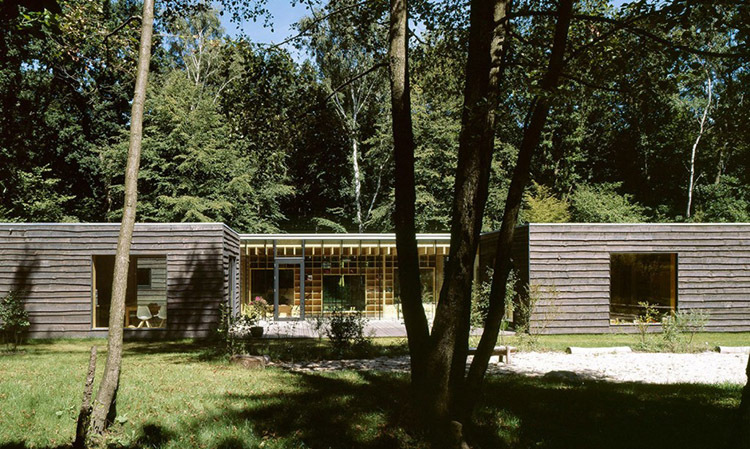 We can however, imagine what it MIGHT be like; tranquil, what with it being surrounded by lush greenery, the inside featuring natural timber and daylight. While it’s decentralised plan connecting spaces (indoors and out) will be providing a feeling of connectivity, community and a buzz of activity. 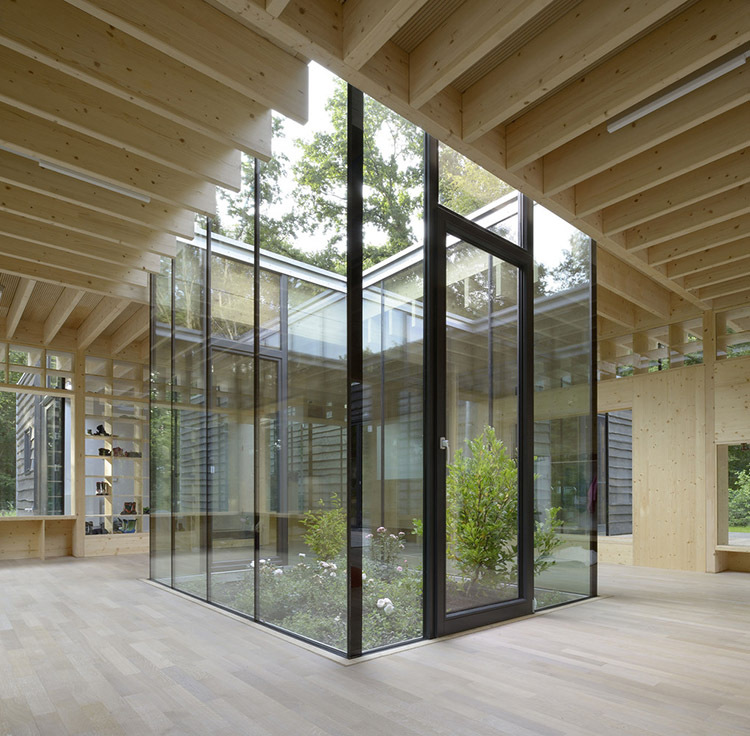 Timber decks, floor to ceiling glazing and a central garden at the building’s core or “heart” are other features of this nursery in Hamburg, Germany. 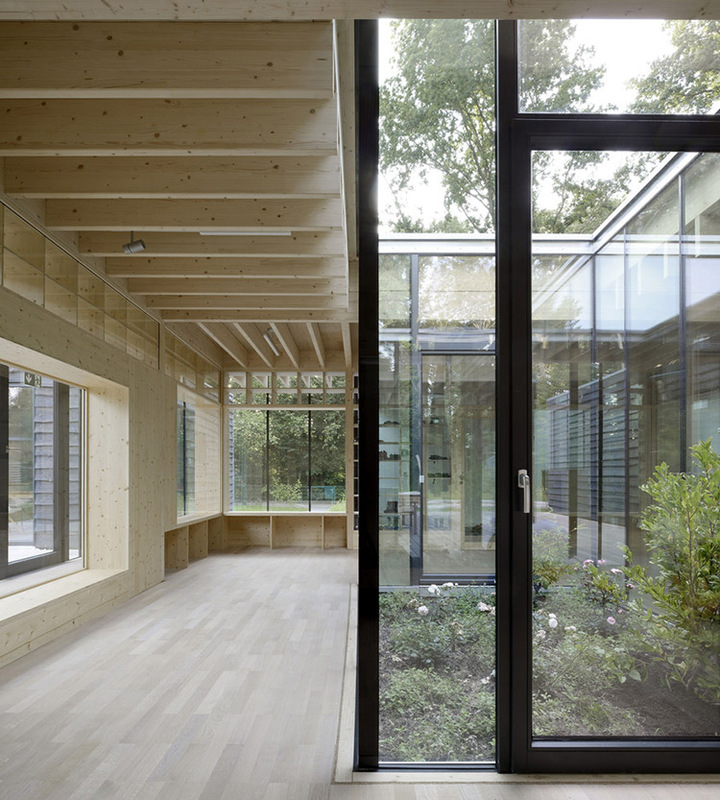 Designed by office Kraus Schoenberg the new centre caters for newborns to children of 3 years of age. 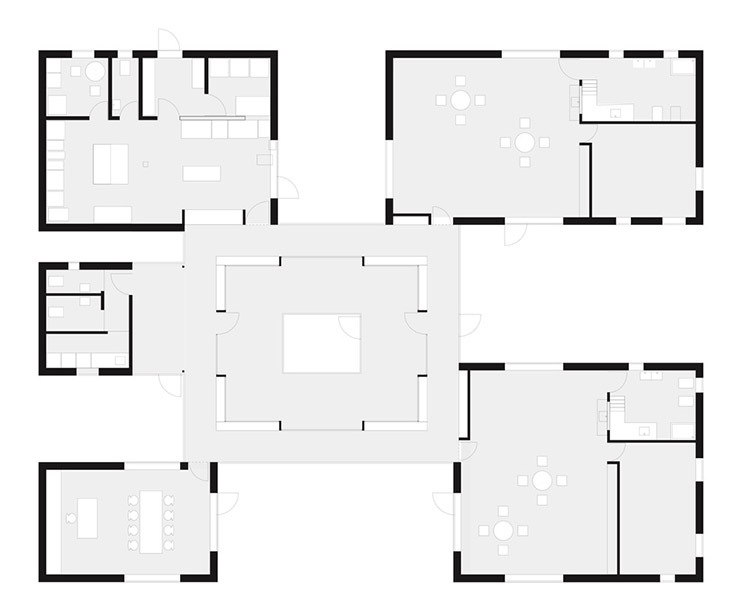 Influenced by the small scale of local residences surrounding the area, the early childhood centre is arranged into a cluster of units accommodating different functions around a central shared core. This ensures “everyone is able to see each other through the cloister-like central space” says architect Timm Schoenberg (source). 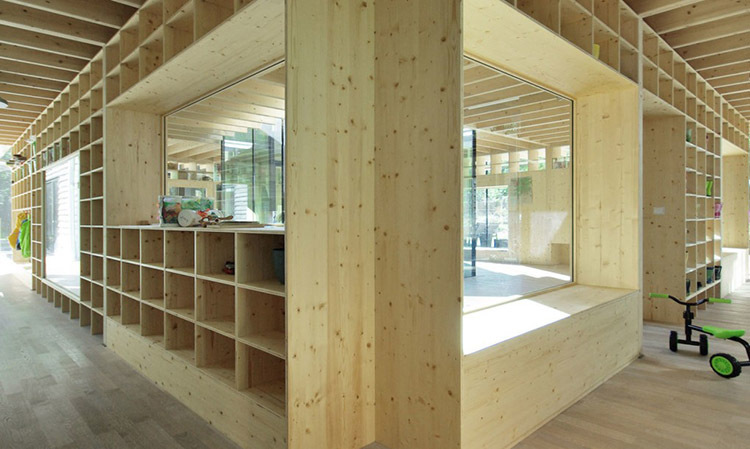 The glazed garden within is surrounded by open space for active play, whilst its walls feature ply “cubbies”, benches and large deeply inset windows in which to sit and admire the views to the outdoors. Wood is used throughout as the material of choice for its tactile qualities. 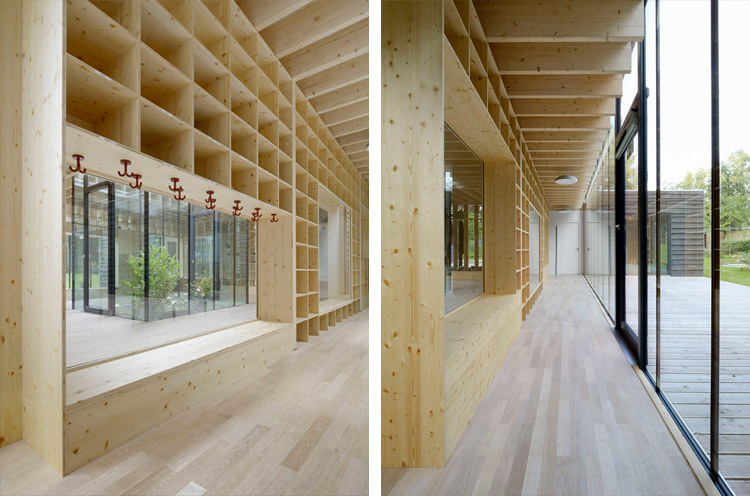 Glue-laminated beams supported by timber columns form the exposed ceiling and structure, whilst Finnish plywood is used for the joinery and linings internally. Externally, rough-sawn larch boards seem to justify the buildings right to be here, enabling it to weather with the surrounding trees with time and use.